Evita Apartments are in the small fishing village of Aliki. There are several shops, cafés and restaurants in the village, as well as a supermarket and well known bakery. The local bus service goes to and from the main town of Parikia as well as to many of the island’s other villages. 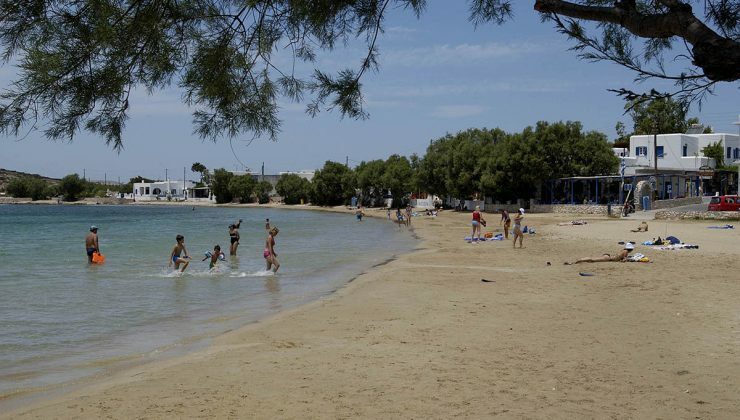 There is also the beach of Piso Aliki, a short walk away, and other beaches can be reached by car. You will need 30 minutes to reach the Port of Parikia and only 5 minutes in order to reach the island’s airport. Mrs Evangelia Lapata is your hostess at Evita Apartments. Contact her with any questions you might have regarding your stay at these lovely apartments in Aliki. Aliki, located on the south of Paros, , is a quiet fishing village which becomes busy during the high season in summer only. It is a perfect destination for families with numerous playgrounds and playing fields all near the apartments. Cafes and restaurants are ideal for enjoying the sunset views.